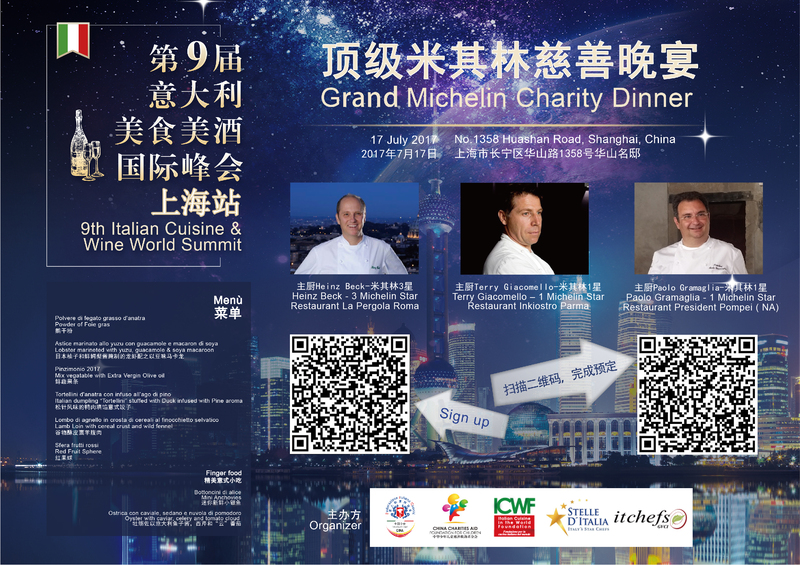 On the occasion of the 9th Italian Cuisine & Wine World Summit, that will be held from July 11th to July 20th in Beijing, Changsha and Shanghai, a Grand Michelin Charity Dinner will be organized, starring three Michelin-starred chefs. The dinner will be held on July 17th, at No.1358, Huashan Road, in Shanghai. The set menù will also include wine pairing. The ticket cost is 3860 RMB per person. Scan the QR CODE to proceed with the payment. More details available here. CICC Members will be granted a special discount of 1000 RMB! Get your special discount code by sending an email to info@cameraitacina.com.